No, not household cleaning. Something far more fun. I had an amazing day outdoors today. 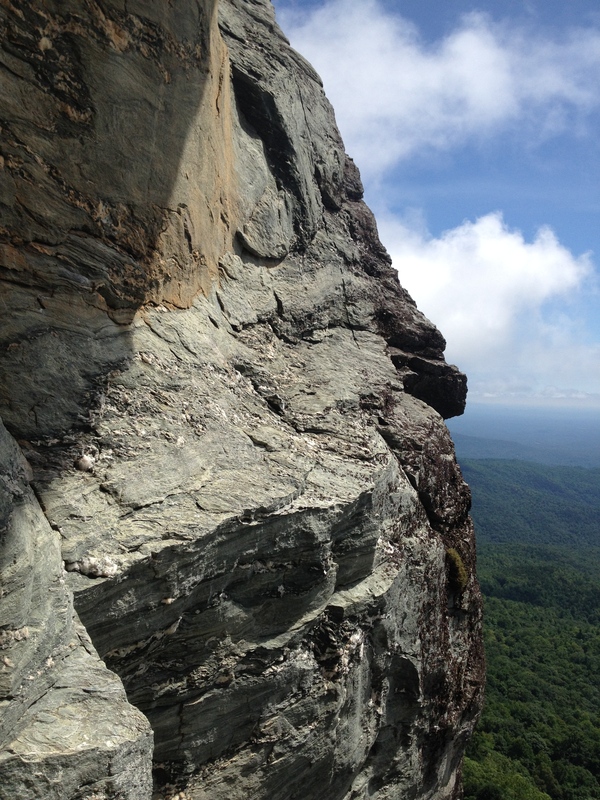 Some friends from Atlanta spent the long weekend in North Carolina climbing in Linville Gorge. We met up with them today to climb at Table Rock. I have very little experience with trad climbing (placing gear into cracks as you climb, rather than clipping into fixed gear bolted into the rock face). While I have led a trad route exactly two times, I have never climbed multi-pitch. Today we did both. Given my lack of experience, I didn’t lead at all today. 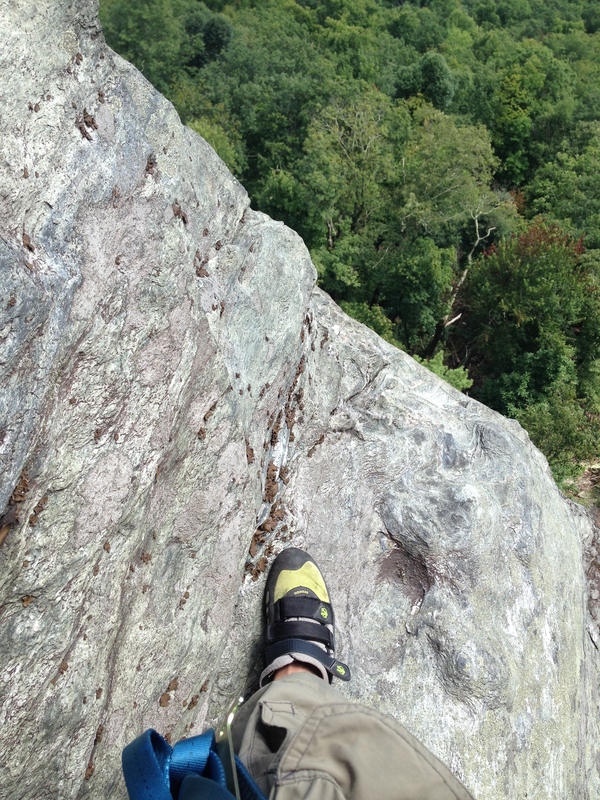 Instead, I climbed second–I cleaned the gear that my leader placed as he climbed. Now before you assume that today’s challenge was all about following instead of leading (and it kind of was), I was focused on something else entirely. I am not completely obsessed with the grades of the routes I climb, but I am certainly guilty of thinking: the harder the climb, the better the climb. Yes, yes, I know–it’s an ego thing. Today, that was not the case at all. We were on a relatively easy climb. In fact, everything we climbed today was at a grade that I would never even bother “wasting” time on in a gym or even at a sport crag. But trad climbing is very different. Regardless of your climbing level, most folks will dial back when they’re trad climbing–especially on lead. Could I have climbed something more challenging today, and maybe even gotten in a lead? Sure. But not only was a thrilled to be seconding the whole day, I was perfectly happy climbing a “soft” route. If anything, it made it even easier to experience the awe of the moment. This entry was posted in Uncategorized and tagged being present, ego, nature, pace, simplicity, taking time. Bookmark the permalink. Wild photos … I’m in awe! Oh, I was in awe too!